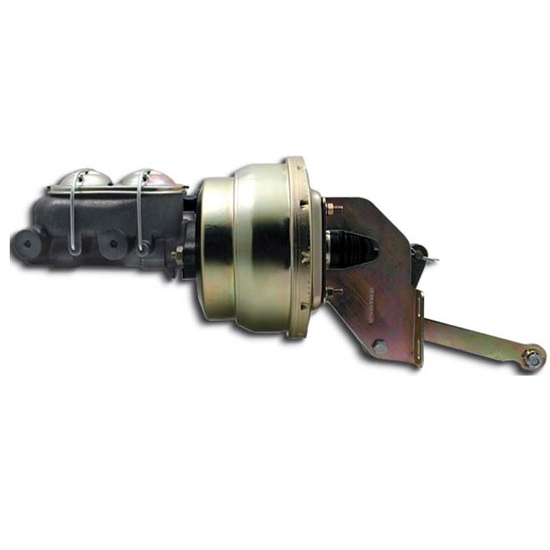 Now you can easily convert your manual braking system and add some power on your 1962-1974 Mopar A/B/E body! This kit comes complete with brake booster, master cylinder, and bracket. This kit is only for use when converting a manual car to power. OE power can require firewall plate modification in order to work with this kit. Speedway Oval Style Tandem Master Cylinder w/ 8 in. Dual Booster Conv.